As seen in the ex-showroom Delhi price list above, prices of the entry level Era trim have gone down. However, the top end Asta trim is now more expensive. This is majorly due to the addition of new features. 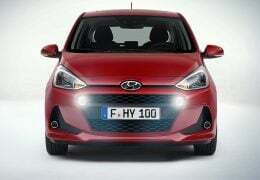 The facelift comes with a new 1.2 L diesel engine. This engine produce more power and torque. 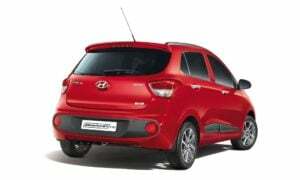 It continues with the 1.2 L Petrol engine with a 5-speed manual and a 4-speed automatic. 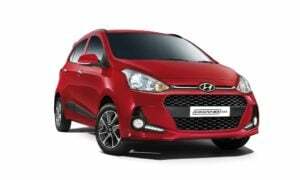 New Hyundai Grand i10 2017 facelift is slightly more fuel efficient. 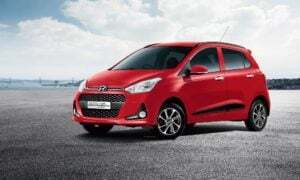 Hyundai Grand i10 Petrol now boasts a mileage of 19.77 KMPL, up from 18.90 KMPL. Fuel efficiency of the diesel variants has gone up from 24 KMPL to 24.4 KMPL. 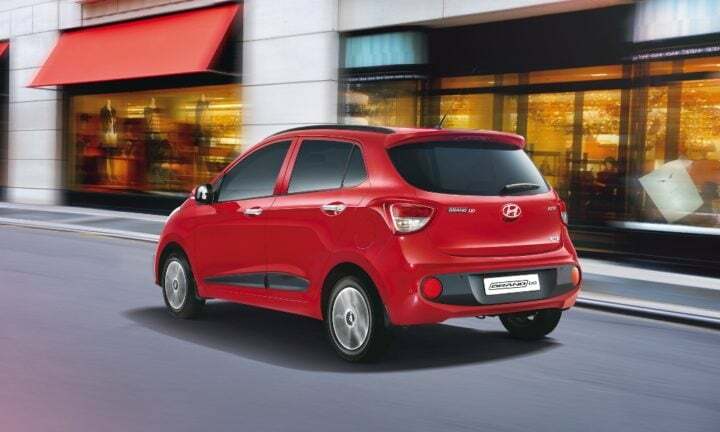 Additionally, the Grand i10 features driver side airbag as standard. None of the variants now get 1GB on board audio memory. 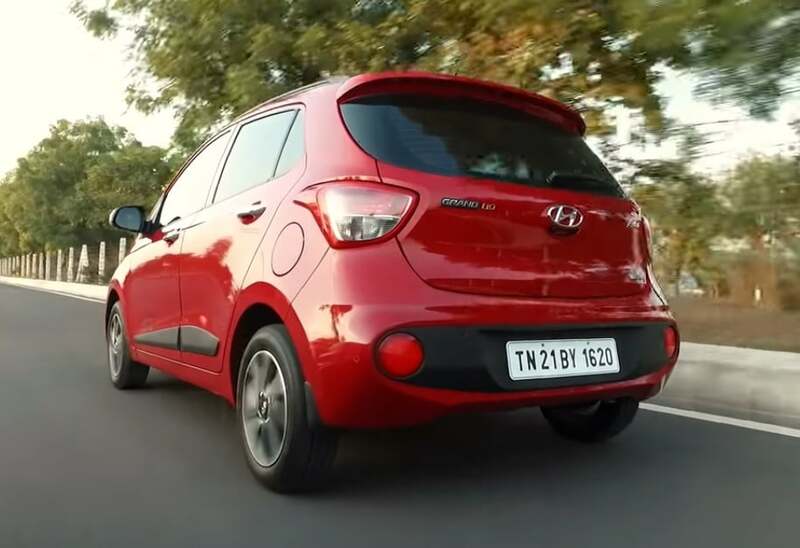 Dimensions of the Grand i10 remain more or less the same. This means that the facelift measures 3,765 mm in length, 1,660 mm in width and 1,520 mm. 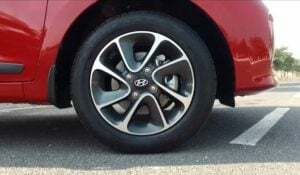 Wheelbase is the same at 2,425 mm. However, the overall length of the Grand i10 could witness a slight increase thanks to new bumpers. 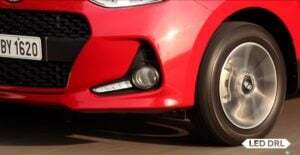 It has a ground clearance of 165 mm. 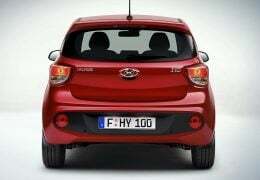 Its boot capacity is 256 litres while the fuel tank capacity is 43 litres. 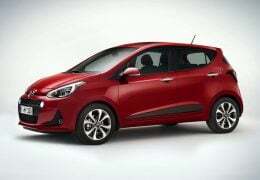 Styling of the new Grand i10 2017 will be inspired from the European i10 that was unveiled recently. It gets a new ‘cascading’ front grille design. While the India-spec model also gets LED DRLs, they won’t be round like the ones seen in the images here. Instead, they have been placed next to the fog lamps. The new fog lamp enclosures are reminiscent of the Elantra sedan. 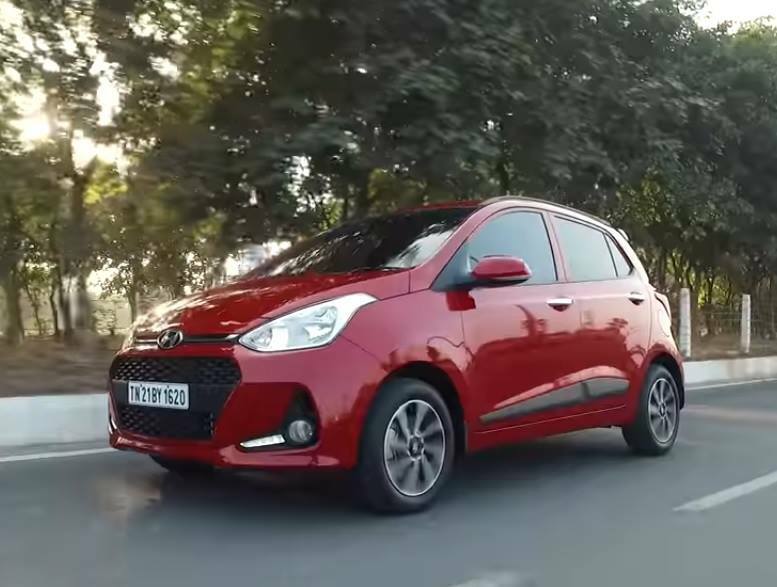 At the back, the bumper is all-new and gets a thick black strip housing the rear fog lamps.Units of the new Grand i10 were caught on camera recently showing the new bumper and grille. It boasts a new ‘cascading’ style hexagonal front grille and round LED Daytime Running Lamps. It also has a new front grille pattern. In side profile, it will get new rub strips and new design alloy wheels. 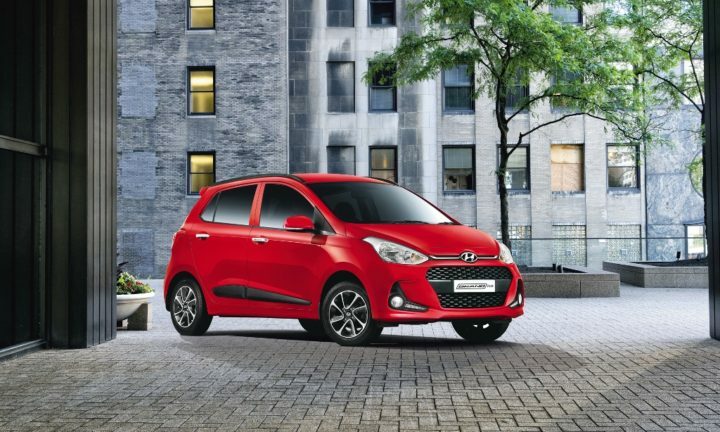 We have always loved the Grand i10 for its roomy cabin. The 2017 Grand i10 too offers similar space. 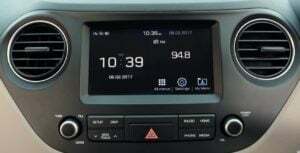 The stylish dashboard remains identical to the current car’s. It gets new features on the inside. 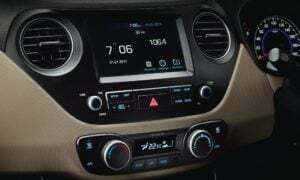 The most notable additions are a 7 inch touchscreen with navigation and automatic climate control. The second from top Sportz trim gets a 5-inch touchscreen. 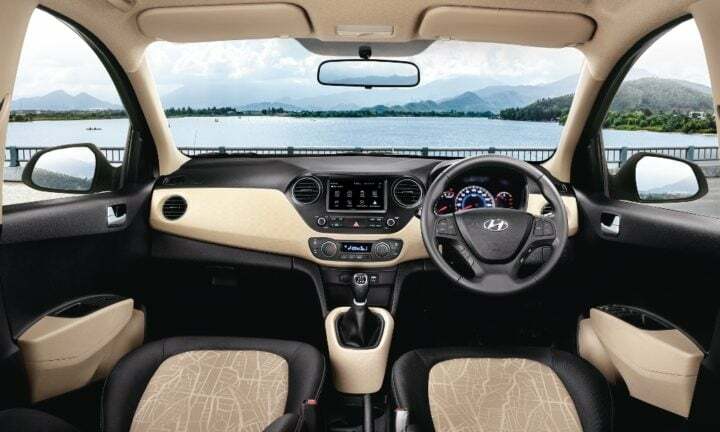 The new model will continue to impress in areas such as cabin quality and overall fit and finish. The petrol engine has been carried over from the current model. 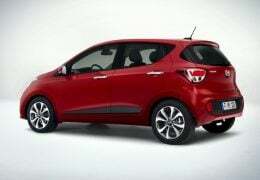 However, there is a new 1.2 L diesel engine on offer that makes more power and torque than the outgoing car’s 1.1 L unit. 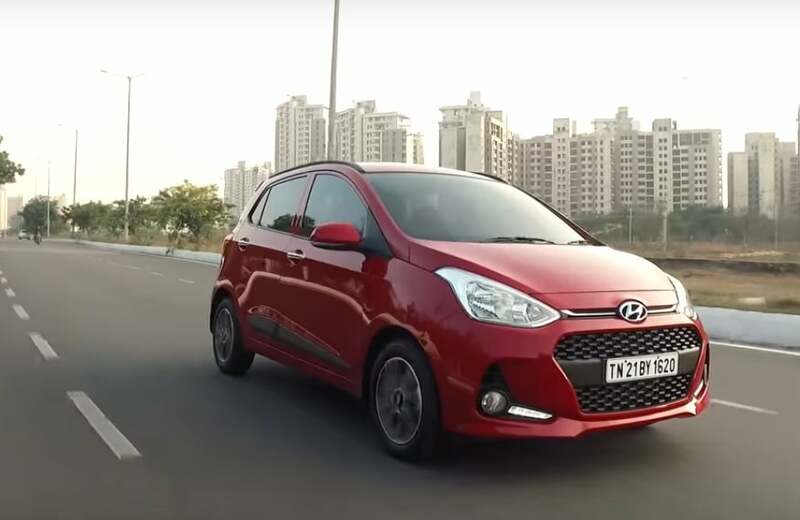 Both variants of the Grand i10 offer better mileage. Transmission options remain completely unchanged. The Petrol model continues with a 5-speed Manual and a 4-Speed Automatic transmission. The Diesel model gets a 5-speed Manual transmission.